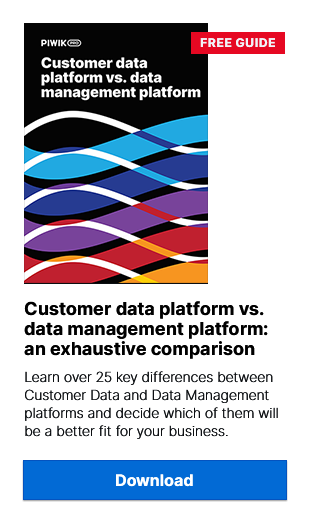 Data management platforms (DMPs) are much like a lot of other new technology on the block – fabulously useful, but intimidating for those who are new to the game. Especially if they don’t know all the terminology associated with it. All the new jargon can seriously hinder new adopters from understanding a DMP’s usefulness. With that in mind, we present some of the most essential terminology connected with using a data management platform for digital marketing and advertising. Collecting data is essential for the functioning of a DMP. After all, without data, there wouldn’t be much to manage, right? Programmatic platforms: data on impressions served, conversions, video views from demand-side platforms (DSPs) and ad servers or other ad services (Google AdWords, for example) where the DMP user has served an ad campaign. Once this data has been collected into a DMP, it must be prepared for use (more details on that below). The main function of the DMP, therefore, is to segment the data collected from these many different sources and make it actionable. Again, other tools (like your Google Analytics or Piwik PRO analytics platform) also perform segmentation. But in a DMP this process is much more complex – by reason of the many different kinds of data being processed. All site visitors from Germany who have made an in-store purchase in the last 30 days and have searched for at least one of our products in the last 14 days. In certain cases (for time-fixed events or when audience segments are bought, sold or shared between brands and data vendors), the process of segmentation produces a “fixed” packet of audience data. This is based on the various conditions that the DMP user may decide upon. But what is important is that this segment is fixed – the size of number of internet users who are part of it will not increase or decrease. Why? Because the 3rd-party data (about interest in classical music) must be obtained for a fixed price – so it will inherently be fixed in number. This kind of segmentation is ideal for an event like this which occurs on a certain day and when there isn’t a need to target audiences based on extensive behavioural data. This is also the kind of segmentation used when a publisher wants to monetize its 1st-party data by selling it to interested advertisers. But it is not useful in all cases. When the segment is prepared, it will be activated (details in the next section), by exporting it to a programmatic platform (demand-side platform (DSP) or a re-marketing platform) to buy ad space. And hopefully the campaign will be successful. But live segmentation also allows marketers to optimize their campaigns over time. A week after the campaign begins, the size of the audience segment – and the value of the segment’s members – may have changed. Just like its name suggests, live segments are calculated “in real time”, meaning that new behavioural data (site visits, ad clicks, etc.) are added to the segment as the events occur and the segments are updated automatically. Armed with this fresh information, marketers can jump in almost immediately to retarget lost customers and engage with visitors via relevant and personalized content. The final step (as we’ve seen above) – after data is segmented – is to activate it. In other words – make it work for you. A DMP user activates his or her audience segments by pushing them to a programmatic media-buying platform, usually a DSP or other re-marketing platform. Some DSPs include elements of a DMP themselves. In this case, the segments are transferred without any need for an account. Otherwise, the DMP user will need to have make arrangements (set up an account) to integrate with the DSP or other programmatic tool of their choice. Audience extension is the practice of publishers using data about their site visitors (mostly behavioural data, but not only…) to sell their ad inventory in combination with inventory from other publishers (with similar audience data). As a result they can offer direct campaigns to advertisers that have greater reach but still a targeted, data-based focus. This means that Publisher A might have valuable insights into the interests and intentions of his site visitors. Thanks to audience extension, the publisher can use that data attract advertisers who want to show ads on more than one site. Advertiser X – by means of audience extension – would be able to use that data to target the visitors on Publisher B, C, & D’s websites. A DMP makes audience extension possible by helping the publisher segment his site traffic into audiences – based on demographics, content interaction and other factors – and then finding the visitors belonging to these audiences on other sites. Now the publisher will activate his or her audience segments through a programmatic media-buying platform – often combining his or her inventory with other publishers’ inventory – and advertisers who want to “extend” their audiences can tap into that data to help them buy ad space on sites where that traffic will be. Two fundamental concepts for defining audience segments in a DMP, recency and frequency are used to determine how much behavioural data should be used. Recency, of course, refers to “how long ago”, in other words how recently a given event occurred. Frequency, then, defines how often a given event must have occurred for the data subject to be added to a segment. Example: An audience segment is set to include all site visitors who have viewed at least three product videos (frequency) in the last 30 days (recency). With data pouring in from all directions and in all forms, the DMP will naturally need to make some order from this chaos. That’s why normalization is essential to make a DMP work properly. Information collected on site, conversion tracking information, offline data – all of it has to be cleaned up, put into a common format and made accessible in a log so that the DMP can use it to do the work of segmentation. Part of the data normalization process is to deduplicate the data. Obviously, because a DMP handles massive amounts of data, there is more than a far-fetched chance that some of it will be repeated. Therefore the DMP will need to separate it out, making sure that data from different sources doesn’t repeat and that events are recorded uniquely. Because audience membership is often determined by recency and frequency (when it comes to behavioural data) it is important to make sure that the information a DMP uses to create the audiences is not doubled. In order to provide the DMP with all the information it needs, users will want to onboard their first-party data from offline sources or other separate, online databases. Most often this process is accomplished by taking some customer identifier (email address or phone number) and translating it into a cookie or device (IDFA or ADID) ID. The goal of data onboarding is to be able to match customer’s online presence/behaviour with the valuable data that a brand already has from other sources. Because much of the may be Personally Identifiable Information (PII) a key part of the onboarding process is anonymizing the data using hashing. Some DMPs come with data onboarding capabilities built-in. Otherwise a separate platform such as LiveRamp must be used. While alternatives to cookies are emerging, the tiny text files that have been used for years remain in general use. With the proliferation of various kinds of AdTech tools, the number of 3rd-party cookies has increased by leaps and bounds. The process of cookie-syncing – creating and matching user IDs on the basis of 1st- and 3rd-party cookies – helps facilitate the exchange of data between platforms and makes it possible to identify a customer profile within a DMP/DSP or ad exchange. The value of different kinds of data. First-party data – information collected by you. This could be a whole range of data including transactional data, product views on a web site, geolocation based on use of a loyalty card in-store. First-party data can be collected from analytics tools, through a CRM or ERP platform. 2nd-party data – often brands want to increase the reach of their advertising and marketing campaigns, so they partner with other brands or companies and exchange information about potential customers. Often this 2nd-party relationship is based on some industry overlap – i.e. car dealers and popular automotive bloggers, etc. 3rd-party data – To increase their reach even more, brands may turn to 3rd-party data – information aggregated by various data providers or other entities and sold on a public marketplace. While this may be a quick way for a DMP user to reach a large number of people who have displayed attributes that might make them potential customers (interest in sports, mother of children) the accuracy and relevancy of 3rd-party data is much lower than first- or even second-party data. Even though 3rd-party data is generic and ostensibly available to anyone, it can be extremely useful to enrich first- or second-party data by adding more insights into demographics, interests or behaviours. It also makes it possible to extend the reach of audiences built with first- and second-party data. When DMP users want to get serious about maximizing their ability to collect data, they very often turn to tags. In today’s world – with thousands of site visitors, multiple pieces of content being displayed and a whole range of actions being taken by visitors, the number of tags being used by marketers and advertisers is huge. A tag management system – ideally built right into a DMP – makes it possible for users to quickly manage all these tags in one place, check them, delete them and make sure they all comply with privacy regulations. Tag management systems such as Piwik PRO Tag Manager allow all the tags on a page to be loaded in one container, reducing load times and preventing tags from interfering with other content. Now that you understand a little bit more about what a DMP does, how it works and the terminology associated with it, you don’t have to be intimidated by this extremely useful tool. Why not take time to check it out?